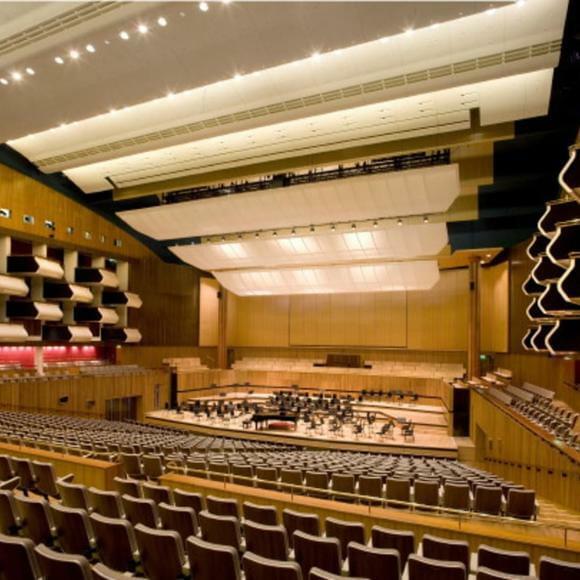 Opened in 1951 as part of the Festival of Britain (a welcomed and needed postwar cultural redevelopment), the Royal Festival Hall remains London's signature concert venue despite its still slightly worrying and dry acoustics (inspite of a spectacular 2005–07 restoration). Initially a stand-alone structure, the impressive structure is now linked with other major arts venues (Queen Elizabeth Hall and Purcell Room, Hayward Gallery) via concrete walkways, all part of London's riverside Southbank Centre, adjacent to BFI Southbank and the National Theatre. Non-classical music happens here occasionally, most notably in June during the annual Meltdown festival, in which a famous hip music person (David Bowie, Morrissey, Patti Smith, DJ John Peel (1939–2004), Laurie Anderson, Jarvis Cocker, Lee "Scratch" Perry etc) programmes an eclectic concert series over nine days or so. Tube stations: Waterloo (south of the river) or Embankment (north of the river), the latter of which affords a splendid walk over either of the two Golden Jubilee Bridges (linked with Hungerford Bridge).